Kenya lost 396 elephants in 2018 due to diverse causes, compared to 727 that died during 2017, which translates to a 30 per cent drop in total elephant mortalities over the past year. The Kenya Wildlife Service (KWS) announced on Thursday that poaching of elephants also reduced by 50 percent from 80 cases recorded during 2017 to 40 cases in 2018. The wildlife deaths were caused by disease, drought, drowning, territorial fights and old age, human-wildlife conflicts, accidents and poaching. “All ivory except for the elephants that were poached was recovered and is in safe custody,” the state agency said in a statement issued in Nairobi. “Our national elephant population has remained healthy with a current estimate of 35,000 elephants having increased by 119 percent over a period of 29 years from 16,000 elephants in 1989. The Mara ecosystem elephants have increased from 1,000 in 1983 to the present 2,493 translating to an increase of 149 percent in 35 years,” added the statement. 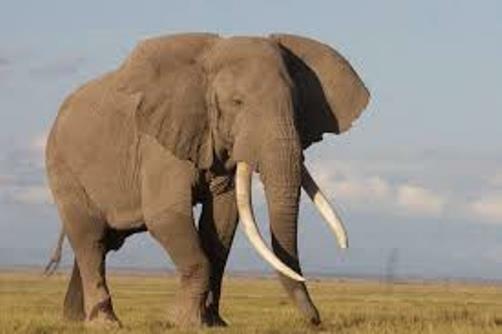 In the Maasai Mara ecosystem, a total of 61 elephants died in 2018 , with 38 percent (23) of mortalities being as a result of natural causes; 16 percent (10) were due to human-elephant conflict. On the other hand, 7 percent (4) were poached and 39 percent (24) died from causes that were not immediately established since the carcasses were detected when they were petrified and extensively scavenged. KWS noted that there has been an increase of cases of human-wildlife conflict in the Mara Ecosystem due to change in land use, which is not compatible with wildlife conservation. The Mara ecosystem is located in the northern-most section of the Mara-Serengeti ecosystem, which covers some 25,000 km2 in Tanzania and Kenya.